As an obedience instructor, I frequently get complaints about "hyper" dogs. I've learned that this means one of four things: a perfectly normal dog who doesn't get enough exercise, a dog who has a high energy level, a highly reactive dog, or a hyperactive dog. The high-energy dog is always ready to go. He doesn't tire easily, whether he's working or playing. The highly reactive dog may or may not have a high energy level, but he reacts strongly to stimuli. Stimulation overexcites him. If you touch him, he jumps away. If the doorbell rings, he becomes hysterical. He startles easily. In an exciting or stressful situation, he may tremble. Such dogs are often described as "nervous" or "high strung." If you were to open an umbrella in the face of a highly reactive dog, he would startle and jump back. A dog with a low reactivity level wouldn't even blink an eye. Both high-energy and highly reactive dogs benefit from training. For the high-energy dog, it helps to use up some of his energy. 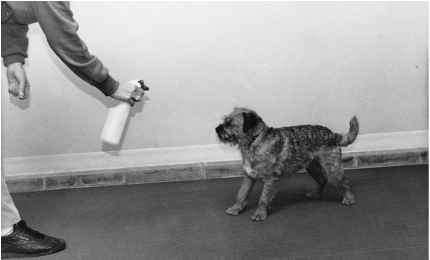 The highly reactive dog benefits from being taught to control his reactions. Repeated exposure to different people, things, noises, and places will reduce reactivity. Both types of dog also benefit from more exercise. The hyperactive dog is different from both of these. Hyperactivity is a neurological disorder. These dogs cannot slow down. They tend to learn poorly due to an inability to pay attention for any length of time. They often have multiple behavior problems. Training and exercise do not help much with these dogs. As with hyperactive children, they can be treated with drugs. The drugs used are not tranquilizers. Some veterinarians do not have much experience with this problem. If you suspect your dog is hyperactive, you will probably need the help of someone specializing in dog behavior problems. Some owners have reported improvement with dietary changes, such as eliminating preservatives from the diet. 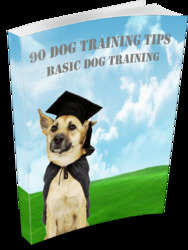 You will receive tips on basic commands, tips on leash and collar, tips on eliminating howling, tips on respect and confidence, tips on house training, tips for dogs to stop chewing, tips for stop chasing cars and tips for separation anxiety.